Virtual Coaching With Defining Dad Bod For $50/mo. What Your Workout Week Looks Like To Me! 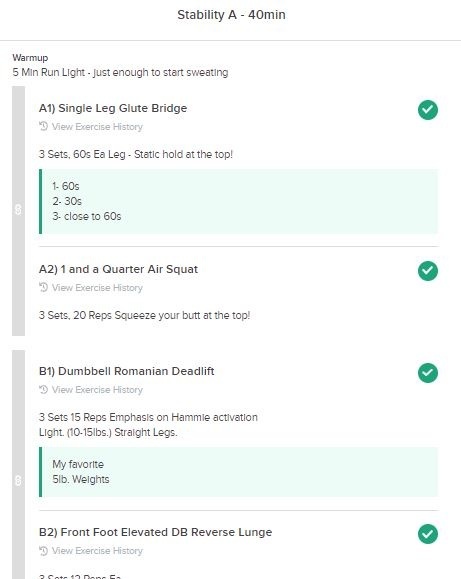 Daily Workout Programs sent right to your email complete with sets, reps, and a video exercise description for every movement through the “TrueCoach” application. 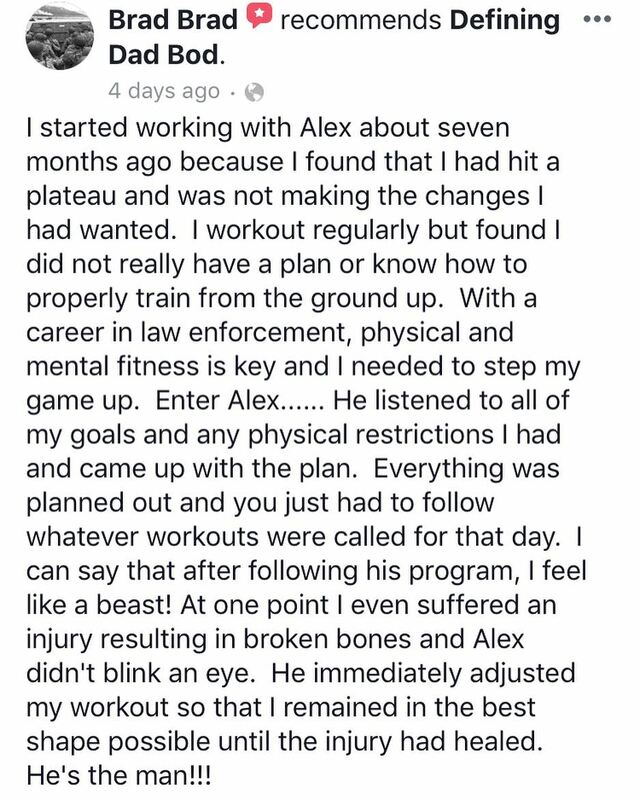 These workouts are written exclusively by Coach Al for personal virtual clients and as a “friends and family” member you are given access to follow the same program! Motivational and troubleshooting communication by Coach Al on each completed workout! The Revolutionary System To Fast, Positive, Long-Term Results! Also via your email you will be lead through the 16-week Hormone Optimization Pyramid. We’ll address inflammation, insulin, cortisol, testosterone, and thyroid hormones by optimizing your life in bite-sized chunks. Take measures and watch them change for the better as you stay motivated to reach your goals! 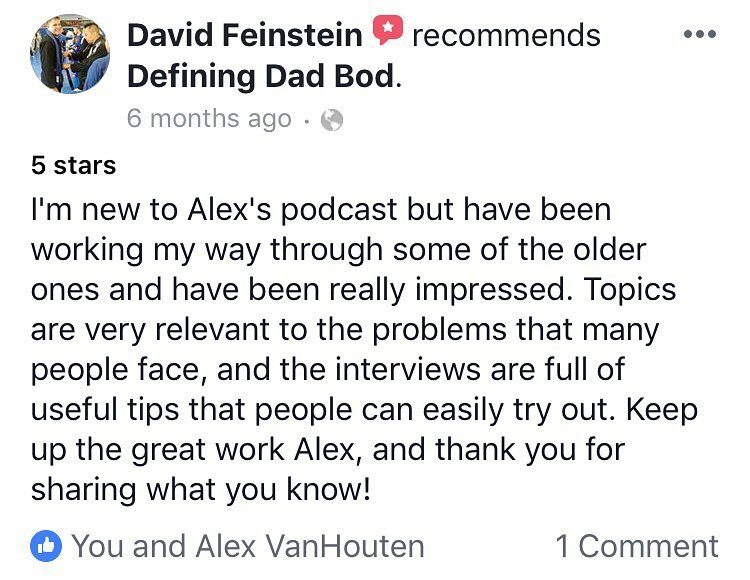 The official Defining Dad Bod spot on Facebook where members go to ask their questions, join Coach Al LIVE weekly for Q&A, topical discussions, and updates! This is the tribe that is supporting the movement of Defining Dad Bod — And taking smart advantage of my 13 Years of Training Experience!